The founding four (Gibbon, Clow, Palenske, and Townsend) felt that a prominent executive committee would give the group credibility and provide the momentum needed to launch it. When Gibbon returned to Montreal he set about convening just such a committee. To help provide a draw for its hotels at Banff and Lake Louise, the CPR sponsored not only the Trail Riders, but later, sister organizations, the Skyline Hikers and the Banff Ski Runners and set about advertising the “Order” worldwide. Dr. Charles Walcott, secretary of the Smithsonian Institution in Washington, was asked to serve as President and H.B. Clow, Vice President. Gibbon himself took on the role of secretary-treasurer, a position he held for the remainder of his active life. His role at the CPR insured strong financial support to the trail riders. “The Council,” an advisory committee, consisted of J.B. Harkin, Commissioner of Dominion Parks; W. T. Hornaday, Director, New York Zoological Society; Sir James Outram, a noted mountaineer (who made the first ascent of Mnt. Assiniboine); Carl Rungius, a wild life artist from Banff and New York; Mary Vaux Walcott, Mary Schaffer a local botanist and explorer; Jim and Bill Brewster, Jim Simpson, and Bill Potts all of whom were outfitters. The early outfitters and founders of the TRCR saw the Indian Sundance Lodge at Takakkaw Falls, and they “put their heads together” and thought it would be great to have one of those in trail ride camp. A design was created, the canvas stitched together, and for 90 years now we have been packing in our own “Doughnut” tent to every one of our camps. Today you can see an example of an authentic “Sundance Lodge” at the Luxton Museum in Banff. The Doughnut is a round canvas tent, 36 feet in circumference with walls that are 5 feet high supported by 32 posts. At that point, a canvas roof, set at about a 45° angle and supported by 12, 18 foot poles, runs from the top of the posts towards the middle of the round walls. It stops short leaving a six-foot “hole,” (hence the term “doughnut.”) Each evening in camp we light a bonfire in the middle of the Doughnut and the smoke appropriately goes out the “hole” in the roof. Our “creation” unique to the TRCR has been copied by our sister organization the Skyline Hikers, and many other outfitters as well. Images on the Sundance Lodge depict stone rubbings taken from rock carvings created by the Indians in Writing-On-Stone Park, Alberta, as far back as the 1700′s. Permission to recreate the rubbings was given to Bunny in the 1960’s. Over the years, Bunny, whose first Trail Ride was in 1942, has painted designs on about fifty teepees as well as the Doughnut tent. She passed away in the 80’s. Although we are the only riding organization to greet you with teepees at the end of the trail on the first day, changes in Parks’ policies through the years have eliminated all open fires in them. Since there is wear and tear from the riders and the elements, the teepees must be replaced after about eight years. A Teepee Fund exists to provide for this replacement. Contributions to this fund are very much welcome! Music has played an important part in our history since the beginning. At the first Pow Wow in 1924 a piano was hauled up from the trailhead to Takakkaw Falls. In subsequent years a portable organ survived fifteen years before a second organ was bought. In 1944 a third organ was finally hurled over a precipice in frustration by the packers led by Soapy Smith, however John Murray Gibbon retrieved the pieces and got it working again. Shortly after, the packers again hurled it, this time to its demise in Og Lake, north of Mnt. Assiniboine. (Editor’s note: see the feature story about Soapy Smith in the 2018 TRCR Bulletin. SRW) Since then we have relied on more portable instruments including guitars, accordions and fiddles for our entertainment. One of our most well-known musicians was Wilf Carter who had been a packer. At Gibbon’s suggestion, Carter came on his first Trail Ride as musician in 1932, strumming his guitar along the trail. In 1933 he was made “Official Musician,” and thus began his career under the name of “Montana Slim” (Editor’s note: see a full story about Wilf Carter in our spring 2014 Bulletin.) Later Clarence Richards, Allen Crawford, Dora Kirk, Don Watkins, Dennis Orr and Stuart Watkins were all “official musicians.” The musical tradition continued, thanks largely to Gibbon’s enthusiasm for putting together a TCRC song book. Since, then there have been five more editions and the sixth one was produced in the spring of 2013 for our 90th anniversary. Many of the TRCR song parodies in our song books were written by Graham Nichols who was the Director of Public Relations for the Canadian Pacific Railway, the TRCR’s sponsor from 1923 – 1962. Graham lived in Toronto and brought his executive friends and CPR buddies (aka “city dudes”) on a ride every summer. Graham was famous for hosting “over-crowded teepee parties” where excessive amounts of “Oh be joyful” (alcohol) was served. Some of these songs were written during that time frame, the 1940’s and 50’s, no doubt during a teepee party. Examples have been re-printed in our current anniversary songbook. Over the last 50 years, numerous people have contributed to these various editions and the Board of Directors, wishes to acknowledge and thank them for their tireless efforts: Howard Watkins, Dennis Orr, Al and Romana Owcher, Shel and Cylia Bercovich, Sandra Yates, Lori and Lloyd Rotz, Pat Allen, Rick Godderis, Ben Bury, Janina Hoyne, and Dave Keller, and Stuart Watkins. 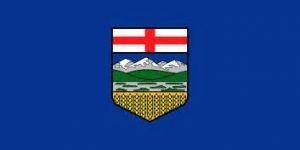 As the demise of the TRCR would have been a terrible blow to the membership, a group of Calgarians, under the leadership of Howard and Bunny Robinson, and Lou Schulman with Mary Lore of the Skyline Hikers, decided to maintain the organizations and established independent non-profit associations. Jack Waite and Earl Lomas provided the legal assistance and Claude Brewster, the outfitter for both groups, agreed to carry on for 1962 as 80 riders had already registered as well as numerous skyline hikers. Howard became the first President of the new TRCR as a non-profit and was on the board of directors for fifteen years. The club started with the equipment (all stored in Howard’s basement) and $50.00 in the bank. With tremendous effort the two organizations were rescued from their threatened demise. After years of hard dedicated work by this second group of “four founders” (Howard, Bunny, Jack and Earl) the TRCR not only survived, but flourished. 1983 marked the Jubilee Celebration of Trail Riding with a Sixtieth Anniversary Ride. Wally Jamieson spear-headed the work of Dorothy Lomas, Dennis Orr and dozens of other volunteers. On September 10th, after a breakfast with friends and Park personnel at the Banff Springs Hotel and a parade through Banff, sixteen riders headed north for Jasper. On the same morning fourteen riders left Jasper headed south for Banff. After eight days on the trail, the two groups met with about 200 long-time Riders for a Pow-Wow on the Kootenay Plains beside the North Saskatchewan River. Trail Riders of all ages ascended, many with their families. Former outfitters, staff, musicians, Parks Canada officials, and various dignitaries also appeared for the reunion. Mary Dover (nee Cross), who first rode with the Trail Riders in 1927, was guest of honour. Presentations were made to Fred Laidlaw, the last CPR Secretary-Treasurer; Don Harmon, son of Byron Harmon, represented the photographers; Bud Brewster, represented all the outfitters; Dora Kirk, represented the musicians; and Esther Richards (a long time TRCR cook), represented all the wonderful cooks. Barbecued steaks grew cold while the hugging, kissing, visiting and dancing continued long into the night. Bright and early the next morning, the two groups of riders once again headed through sun and snow for Banff or Jasper, to continue the celebration of Alberta’s heritage. The “golden years” of the TRCR repeated themselves during the 70’s and 80’s as the club grew to eight, six day rides, which were usually full every summer with as many as thirty-five riders. The TRCR is indebted to the many wonderful “outfitter staff” that came back and worked on the rides year after year. Mike Crawley (originally from South Africa) with his warm and funny personality and a twinkle in his eye, was our head guide for seventeen summers. Others included: Dan Heather, Steve Goertz, Colin Smith, Gord Thompson, Stuart Watkins, Del Brassard, Dennis Orr, “Nice Ron” Pruden, Roy Yano, “Cloudy” (a university professor of English from Ontario!) Bob Langridge, and Bob Lamone. Our outfitter for thirty-five consecutive years was Ron Warner of “Holiday on Horseback” who we are indebted to for helping to keep us going through some lean years and who helped with negotiations with Parks Canada. We express our gratitude and thanks to all these wonderful employees. The Annual Calgary Spring Round-Up commenced in 1963 and is still eagerly anticipated each year. It is a time to meet riders not seen since the previous summer, do a bit of reminiscing and enjoy a nice dinner. It is also an encouragement to register for ride for the coming season! In the 70’s and 80’s Dr. Bruce Hatfield was famous for showing his annual “Hatfield’s three ring circus” at the Round-up in the basement auditorium of the Canadian Western Natural Gas building in downtown Calgary. His “circus” consisted of a movie shot of last summer’s trail ride with slide projectors operating each side of the movie screen, all showing pictures simultaneously with Bruce’s funny commentary! 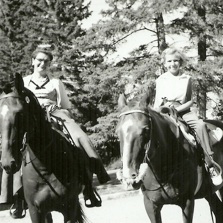 During the 1980’s there was a Fall Round-Up at the acreage of long time trail riders, Barb and Frank Wotypka’s in Sherwood Park, AB. There was a huge barbecue, with square dancing, and reminiscing with the tales of the summer’s rides. Barb passed away a number of years ago, and Frank in the spring of 2013. For the first thirty years of the TRCR’s existence as a non-profit, a medical doctor accompanied each ride which was coordinated by the late Dr. Bruce Hatfield. With the advent of modern technology (communications, satellite telephones and air ambulances) the position of medical doctor was eventually eliminated. The TRCR is grateful to all those doctors who served in this capacity. New Polices; forever changing the T.R.C.R. Since the mid 90’s the TRCR has had to change as the world has changed; different demographics have changed our ridership; the economy, changing tourism trends, and restrictions from Parks Canada etc. The club has not been able to continue its rotation of campsites inside the Banff National Park and the club had to go to other mountainous areas outside of the Park and use other outfitters. However, with the determined perseverance of the Board of Directors, the TRCR continues to operate as a not-for-profit as it has for over fifty years with five volunteer board members. Without their hard work and dedication, the TRCR would have folded in 1961, and many other times since then. 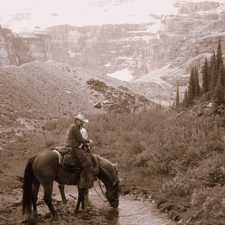 In the mid 1990’s Rick Godderris, a dedicated trail rider assumed the position of President and secretary-treasurer and single handedly keep the club going. To those that have served, we this next generation of trail riders are most grateful and offer our sincerest thanks to: Howard Watkins, Bunny Robinson, Jack Waite, Earl Lomas, Jack Petrie, Sol Lipkind, Barb Rostrom, Barb and Frank Wotypka, Wally Jamison, Lois Laycraft, (all deceased) Pat Allen, Dennis Orr, Joel Lipkind, Terry Stowell, Rick Godderris, Gord Thomson, Dennis Welham, Ben Bury, Kevin MacDonald, Gary Sandbeck, Stuart Watkins and many, many more. A milestone was reached in the spring of 2014. The trail riders long time outfitter, Ron Warner, sold his business, Warner Guiding and Outfitting Ltd. after 52 years of operations. Ron was very supportive of the TRCR for many years and we are most grateful to him for that. A happy and well deserved retirement Ron! The “Warner reins” are now owned by Julie Canning are Jonathon Welsh. A retirement/reunion was held for Ron on October 4th, 2014 and TRCR President Stuart Watkins presented him with several gifts including a TRCR Honourary Life Membership. Happy Trails Ron! With declining membership and 3/4 of the board resigning in September of 2014, the TRCR was left with Stuart Watkins and Gary Sandbeck at the helm and no secretary-treasurer. Fold or continue? Judy Fleetham attended her first ride that summer and loved it so much she agreed to join the board. With Stuart as President and Gary V.P., the “board” of three hired Robert Vanderzweerde as the new secretary-treasurer. Robert has been invaluable to the club and the team has pulled the TRCR out of near bankruptcy. In 2015, the TRCR returned to Waterton Lakes National Park, but to new areas within the Park and also used a non-wilderness camp for the very first time, as a trial. It was a very successful summer, so much so, that by popular demand we had a four-year contract with our new outfitter, Deb Watson owner of Alpine Stables. We were very pleased to see Deb, her Dad Dee Barrius (the cowboy legend of Waterton) and their amazing family adopting the high standards of excellence that the TRCR has been proud of for over 90 years. In 2019, we are returning to the backcountry of Banff National Park. We are working with Julie Canning and Jonathon Welsh of Banff Trail Riders to provide exclusive TRCR rides as part of their riding programs and camps, including 6-day tent trips to the Cascade Valley. The TRCR can only continue to survive if our riders come forward and offer to volunteer to join the Board of Directors or Council. With the modern technology of the Internet, club members no longer have to reside in the Calgary area. Bring a friend, advertise, publish a newspaper article – any marketing you can do is appreciated. If you cannot attend a ride, please send us your annual membership fee. 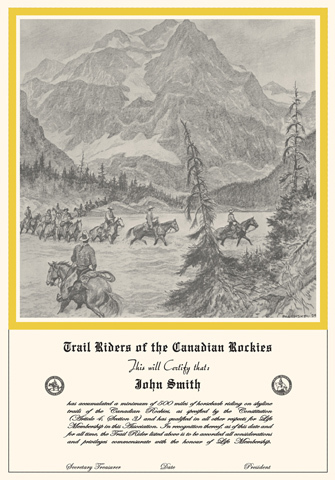 One of the objectives of the original constitution of our Society states in part: “To encourage travel of horseback through the Canadian Rockies and to foster the maintenance and improvement of old trails and the building of new trails.” With the increased use of all Park facilities in recent times, it is noteworthy that this part of our constitutional objective is still being honoured. The TRCR maintains an excellent environmental stewardship record with Parks Canada. National Parks policy allows only three not-for-profit organizations to have semi-permanent camps in Banff National Park: The Skyline Hikers of the Canadian Rockies, the Alpine Club of Canada, and the TRCR. From its camps, the Trail Riders of the Canadian Rockies seek a new and exciting adventure each day. 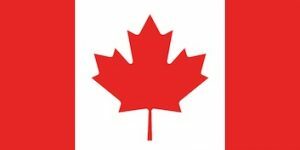 Additionally, our goal is to educate, maintain, and foster western Canadian history and western cowboy culture. We do this with various educational programs and social events. Book now for our upcoming ride or contact us for more information.